Disney World discounts and promotions are things people always ask about. Everybody wants to get the best deal for their trip. There are several different types of discounts, and knowing what they are and when you might expect them to be offered can help you plan. To help you save the most money on your next trip, we have put together a comprehensive guide that covers how the discounts work, what discounts have been offered in the last few years, and how to increase your chances of getting one. Disney's "rack rates" (their standard room rates) are released during the summer for the following year and, unlike most hotels, don't change in price because of occupancy rates once they are published. The prices won't go up from the day they are published but they also won't go down - unless a discount is released. Discounts aren't automatically added. Whether you are booking a new trip or you already have a vacation planned, make sure available discounts get applied. Disney isn't going to automatically add it for you. In general, vacation packages (which include a room, tickets, and an optional Disney Dining Plan) don't save you money but they are convenient. Disney bundles the popular components together to make it easier on you, not to save you some cash. Where to find current discounts. Current Disney World offers can be found at a link for special offers at the bottom of the main Disney World page. We also list them on the monthly dashboards. You can only use 1 discount at a time. For example, if you get Free Dining, you can't also get a discount on your hotel room. You can book your trip before discounts come out. If a discount is released after your trip is booked, the discount can be applied to your existing reservation. However, for every promotion there are only a certain number of available rooms and room types at each eligible resort that can be booked at the discounted price. Once they have reached that number of bookings, that's it. That's why it is important that you either modify your reservation online (preferred method) or call as soon as possible after a discount is released. Many discounts are released before the phone lines open. However, most reservations can be modified online as soon as the discount is released so those that choose to do that get a jump on those that wait to call. There are blackout dates. For instance, if a fall promotion is announced, Thanksgiving week will often be blacked out. This is true for all major U.S. holidays. Deluxe Resorts receive the biggest discounts. When a promotion is announced such as 20-35% off rooms, the lower percentage (20%) usually applies to Value Resorts while the larger percentage (35%) usually applies to Deluxe Resorts. 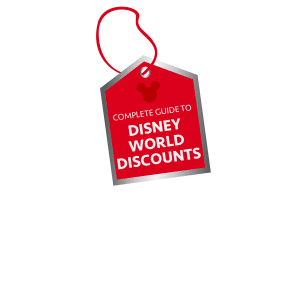 If you aren't sure what discounts are offered, the easiest way to see what is currently available is to scroll way down to the bottom of the main Disney World page to click on the link to "Special Offers" or just go right to the Special Offers page itself. If several are offered during your trip make sure you check different scenarios to see what saves you the most money. If a discount you would like to use is released after you have booked a trip, you will need to modify your existing reservation in order to apply it. There are 2 ways to modify an existing reservation: online (preferred method) or by calling Disney at (407) 939-1936. Modifying a reservation online is easy and far quicker than calling so whenever possible, we recommend you use this method. 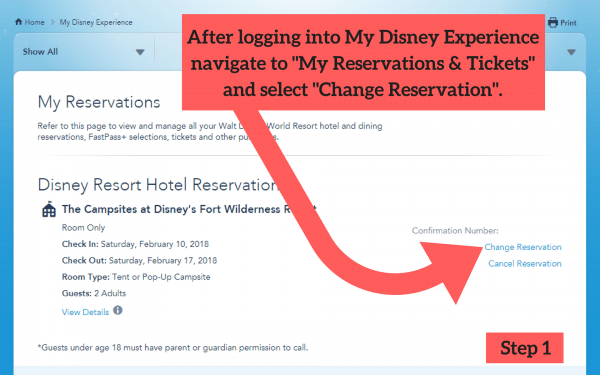 To modify, first you'll need to log into your My Disney Experience account and navigate to the "My Reservations and Tickets" section. Once there, select "Change Reservation." After the page opens you should be able to see all the different aspects of your reservation that you can modify, including a section called "Vacation Offers." Select "Change" in that section to modify your reservation to include available promotions. You may not have the "change" link if you have add-ons for your trip like Memory Maker or Magical Express. Consider adding add-ons after promotions are released to make it easier to modify those reservations online. Ticketless Package - a reservation that includes a resort room and the Disney Dining Plan and no tickets. This type of reservation can only be booked by a travel agent or by phone. Note: Room-only reservations and vacation packages have different deposit and cancellation polices so be sure to check those out before you book. Free Dining is probably the most well-known promotion that Disney offers; however, the availability of Free Dining dates have dwindled in recent years and made it more difficult to book. Free Dining provides exactly what its name implies: the Disney Dining Plan for free. Which plan you receive is usually dependent upon which resort category you book, with Value and Moderate resorts receiving the Quick Service plan and Deluxe resorts receiving the Regular Dining Plan. You can find more tips on securing Free Dining in our Disney free dining tips page. The most common kind of discounts are promotions that offer a percentage off of a room-only reservation and/or the resort room rate component of a vacation package. These discounts will sometimes offer an earlier booking window for guests with active Disney Visa credit cards. The discount usually falls between 5%-30%, with the largest discounts being for rooms at Deluxe resorts. Unlike Free Dining (which only discounts the Dining Plan portion of your package) or a general percentage off discount (which only discounts the resort room potion of your stay, whether it is a room-only reservation or a vacation package), Play Stay Dine provides a discount on all 3 components of your trip. The total percentage off for each component isn't known but most people find this discount doesn't usually save as much money as Free Dining; however, it can provide a nice savings if you were already planning on purchasing the Disney Dining Plan. Some of the best room-only discounts come in the form of Annual Passholder discounts. Annual Passholders are eligible for discounts on a wide variety of things, including resort reservations. Depending on when you are traveling, it might make sense to consider purchasing at least 1 Annual Pass in order to be eligible for the discounts. You do not need to have an Annual Pass at the time of booking your resort; however, you will need it at check-in. If you buy your Annual Pass online, you'll be issued a voucher that you'll need to exchange when you arrive (and the activation date for your Annual Pass is the day the voucher is exchanged), so make sure you plan accordingly. Some of the above discounts (like Free Dining) will occasionally open up bookings early to people that have a Disney Visa, and while the savings are the same as what the general public gets, cardholders get a couple days head start on booking which means they get first pick at available rooms. Bounceback offers are promotions that are usually found in folders in Disney World resort rooms. If you don't find one, dial x8844 from your room phone to ask what's available, because anybody staying on property is eligible to book a bounceback reservation. Bounceback offers are often good deals that you can only take advantage of if you book your next trip while still at Disney World. Just a deposit is required at the time of booking, so even if you're just considering a trip it's a good idea to go ahead and book something while still a guest since the discount offered with a bounceback is usually pretty significant. Each adult on the current reservation can make a new reservation using the bounceback promotion and the same cancellation rules apply, so if something comes up or if your plans change, you can try to move your reservation to other dates that are eligible for that bounceback offer (as room availability allows). Certain current and retired members of the Armed Services are available for special discounts including discounted rooms at Shades of Green and special ticket prices. The discounts are available from several different military and Department of Defense sources and the best place to find more information as to what is available is at MilitaryDisneyTips.com. Use a good Disney travel agent. The agents at Prep School Travel are experts at securing discounts and saving their clients money. It costs you nothing to use one of our agents, so if you'd like to take the guesswork out of planning your next trip request a quote and let one of our agents help you start the process. Get a Disney Visa. People with Disney Visa cards will be able to book the promotions a few days before everybody else. Sign up for alerts. On each of the monthly crowd calendars, there's a sign-up form to receive alerts. When discounts are announced, we email people on those lists to let them know. Book dates when discounts are available. Using the spreadsheet above, you should be able to see when discounts are available. People often ask us things like "when will Free Dining be announced for this summer?" and that's just not likely to happen. If you want Free Dining, book in the fall when it's usually offered. Avoid staying at excluded resorts. Art of Animation Little Mermaid rooms, Ft. Wilderness campsites, 3-bedroom Villas, and new resorts are often excluded from promotions, so you would want to stay elsewhere to qualify for a discount. 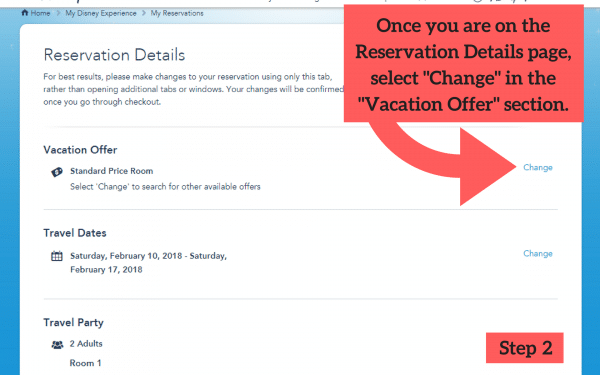 If you already have a reservation booked at a resort and a promotion is released that excludes that resort, you can change resorts to get the discount. Stay flexible. Sometimes moving resorts or even room categories will open up more options for discounts so the more flexible you are the more likely you'll be to snag a discount. 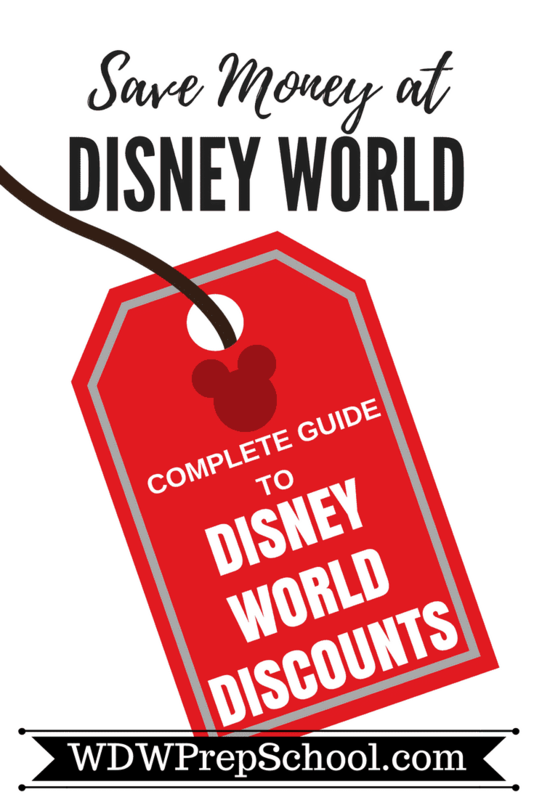 Questions or comments about how Disney World discounts work or which ones are available? Please discuss in the comments. Liked this post? Save it to Pinterest for later! Your section, “HOW TO MODIFY AN EXISTING RESERVATION TO ADD A DISCOUNT” on this page was extremely helpful. I thought I was going to have to call and talk to a person in order to apply a room discount to a package I have already booked. Your instructions for how to do it online and the screenshots were just what I needed. I applied the discount to the package I booked, then I walked a family member through the steps so he could apply a discount to a package he booked. Thanks! My fiance and l were gifted a 7-night stay at our friends’ timeshare at the Sheraton Vistana near WDW. We are Disneymooning there April 29-May 6 of 2019. I see that many of the best discounts are for those staying in Disney property, but is there anything for someone who’s not? Also, I LOVE your pages on Pinterest, YouTube, Facebook and the blog more than any other online Disney expert! I’m thinking of getting the Disney Visa to maybe be eligible for room discounts a little early. Does Disney still release some discounts early for cardmembers? Do you know if the Disney Debit Card counts, or does it have to be the credit card? I’d prefer to get the debit card. Thanks! So if I book a value or moderate resort for a week in November for 3 adults and 2 children (only one of them is over 3) and I am looking for discounts, the free dining would be a better deal for me than a room discount correct? Because I am calculating that free dining would save me $1254.62. The room discount at the lower percentage (20%) would only save me around $700-$900 I believe, if I am doing the math correctly. Do these deals apply to DVC as well? If you pay cash (and not points) for DVC properties, many of the deals apply. If you use points, they promotions don’t apply. I’m staying October 27th through November 5th at Pop Century. We are doing the dining plan, memory maker, and everything! We are paying almost 4 grand. Any thoughts? I’m concerned we are gonna be stuck paying that much. Do you think I’ll see a deal? Any idea what month 2018 promotions and online booking will become available? I will be visiting Disney November 30, 2017 through December 4 2017. I was really hoping to take advantage of free Disney dining if it comes available however I do realize that this is usually a black out period . Can anybody tell me why when the rest of December traditionally is included ? Lori, I am visiting the same time and wonder why they are blacked out as well. I just changed my existing reservation to take advantage of the 2017 Fun and Sun package deals. So happy! I already paid for my prior reservation in full, and therefore would be due a credit/refund. How does Disney handle this? Will they send me a check/credit card refund, or can I just use that credit for incidentals to my room? Thanks!! They’ll refund you the same way that you paid, so if you used a credit card, you’ll get that refunded back to your credit card. If you used gift cards, they’ll issue you a gift card. when will the deals for 2017 august be announced? When will we know about discounts and offers for March 2017? I heard sometime in June? Any updates on this? I live in Canada and they have good prices on park tickets right now. I want to buy them direct from Disney and later book a hotel and dining plan again direct from Disney. If free dining is then offered would I be able to take advantage of this promotion as well? Assuming I can get the booking and such and they don’t run out. Wondering the exact same thing! Did you ever find an answer? Does anyone know what time Disney posts the Disney World winter room only discounts? I heard it was Monday October 3,2016. However they aren’t posted yet? What time of the morning do the promotions pop up on the Disney website? Can I wake up really early and apply a discount myself or do I need to call first thing in the morning? We missed the room discounts that were just announced today. I waited 1.5 hours on the phone after trying for 3 hours to not get a busy signal. We already had a booked reservation at the Caribbean Beach resort but were told on the phone that they didn’t have any more room discounts for the dates we are travelling. Does anybody know if Disney might release more blocks of rooms available for discount or do you think that we are totally out of luck this time? We are doing 2 weeks late Oct – early Nov and were hopeful of getting the Free Dining promo which is now rumored not to include our dates. So I am reading up on the Room only discounts to see what our chances are for this. We have a Package booked at Port Orleans Riverside with dining and 10 days of Park tickets. We booked this all some time ago and since then prices have gone up for park tickets, rooms and dining. So my question is: If we obtain a room discount and remain at POR will it simply be a % off what our previously booked room price was or will we need to rebook the whole package with all the new prices for room, tickets and dining and then apply the room discount? Just curious if you plan to update with 2014 and 2015 info. I’m planning a trip in fall 2016. Thanks in advance. Hi, I’m planning a trip for the week after Thanksgiving.Do the typical room only discount blackout dates end the Friday after Thanksgiving? I’m wandering if I will be safe to book the Saturday after Thanksgiving and still get a discount. Does Disney offer discounts to Florida foster parents? I would love to take my 4 foster children but its just too expensive, even for a resident. Hi! We are planning a family girls only vacation somewhere in the fall of 2016….we were hoping to be there during the Food and Wine Festival AND the Halloween party WITH either free dining or 30% discount off room. My question is: is it a better deal to do free dining and a value resort or 30% off a deluxe? There will be 6 of us ranging from 17-65. We are also looking into the cabins at Ft Wilderness or maybe a club level room? Your two choices are Value or Delux right? Really you should first decide what you can afford. The better deal for the money is the Value, but the Deluxe resort is the better deal for the fun and enjoyment. Compare costs of both and then decide which you can afford. Also sometimes a room discount is a better deal. You didn’t mention the moderates…that is a nice compromise and is more affordable than a deluxe. Port Orleans Riverside is beautiful and even has nightly entertainment. If you can afford a moderate or deluxe I would choose one of those over a Value Resort. If all adults are going then you would really enjoy the Moderate or Deluxe resorts. I love your website. It has been very helpful. My question is regarding room discounts. We are planning on a trip at the beginning of June 2016. If I am planning on a room discount does it matter which sort of room I book (riverview, lakeview, woodsview, preferred, etc.)? If you can afford preferred go for that…the location is so much better. Usually closer to the the main dining area and pool…especially with a moderate or value resort. With a deluxe it doesn’t matter as much. Another option is garden view. We had that at Port Orlean Riverside and it was fantastic. Less money than preferred. Another tip is call the reservation number and stress why you need to be near or as close as possible to the restaurant or main building. We called befor and then cslled the hotel the day before and day of before arriving. We got a garden view that was located very close to the restaurant and pool area. If you have young children mention that or senior citizens that helps to mention that info. I used a travel agent this year and she started her vacation today after reassuring us that we wouldn’t need to call for the deal, so we didn’t get the free dining plan we had been hoping and planning for. If I could go back in time I would NEVER use a travel agent again! So bitterly disappointed 🙁 Oh, well, that is what I get for trusting someone else to care about our plans. This is the first Disney vacation I have ever planned myself so it’s a learning experience. 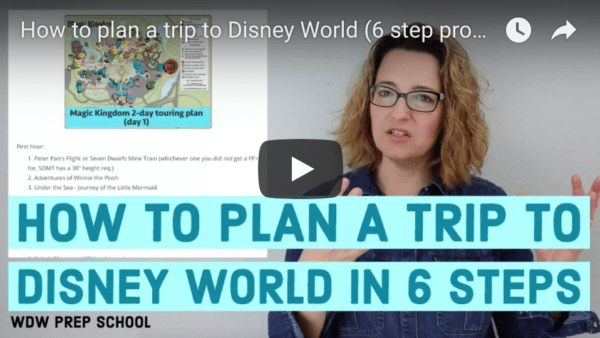 Don’t use Small World Vacation agents!!! If they announce free dining for December of 2015, and I am arriving on December 24th, would it still count? With free dining, your check-in date has to be within the discount window. Say the last day of the free dining discount was December 24th, you would be able to get the free dining promo for the entire length of stay. Room discounts are a little different. That type of discount can only be applied to the actual days that fall within the promo window. For example, say the promo window is December 1st-24th and you are checking in on the 24th. You would only get the discount applied to the 24th. Of course, Disney reserves the right to change their promo rules, but these scenarios are what we typically see. I can’t say for sure what will happen from on year to the next, but the last two times we have booked a Disney vacation we have watched for the promotion announcement for our dates and called back soon after it was announced. The first time it was not a problem at all, they had packages remaining and they adjusted our price. The second time, we were about a little late seeing the announcement and all of the packages for our room type and resort were taken. We upgraded our room (it was a small difference) and then got the adjustment (30 percent off) and still saved quite a bit over our initial vacation cost. It was a bigger hassle because we had to cancel our room reservation and then re-book, but we got to keep all of our dining reservations, so it all worked out. Will you be adding 2014 discounts that were made to the above calendar? If I have already booked my vacation for July 2015 and it is almost paid off…will this exclude me from getting discounts that may apply to my vacation when they are released? I just booked our rooms for a September trip to Disney World. They added park tickets too when I booked. But the tickets appear to be about $50 cheaper through 3rd parties like Undercovertourist and touringplans.com, plus their tickets include a free extra day! So my question is, can I remove the park tickets from my reservation and still qualify for discounts when they are announced? I don’t want to save a few bucks on the tickets only to lose out on a much better room discount. Thanks! This is our first time so I don’t have experience with this stuff! Free Dining usually requires a 2 day park ticket at least so you wouldn’t qualify if you take that off your reservation. Hope this helps! Do I have to purchase my park tickets through Disney to qualify for any discounts? I want to get my tickets from a third party like Undercovertourist but when I booked my rooms they went ahead and added in the park tickets too. If I call back and remove the park tickets will I still be able to get a discount when they come out? Thanks, love the podcast! Do you have a list of the 2014 discounts offered for December travel? Hi Shannon – thank you for this incredibly helpful website, wouldn’t have known where to start without it. So I booked early hoping for free dining or a room discount for our trip starting October 5th, and we weren’t lucky this time. I really don’t want to pay full rates for everything on this trip – do you (or any of your readers) have any ideas on any other discounts that might be available? Sorry, not sure what to expect for October. We’ll have to see if they release any additional promotions for then. We are planning a trip for November and are hoping to get in on the Free Dining. Our first thought was Nov. 8-14, but noticed that Epcot is having the Food & Wine Festival thru November 10th. We also noticed something about Jersey Week. I’m wondering if our chances of getting the free dining would be better to wait until after that event concludes….possibly going Nov. 12-18 instead. We are planning a trip to the Contemporary Club Level the first week of November. Why did you write that the first week of November (Jersey Week) is often excluded from promotions when promotions have been offered for the last 3 years(which was stated above on your calendar)? I’m just confused. I am hoping we either get 30% off or Free Dining. Yikes! We are going the first week of Nov. also. Thought we would just catch the end of FWF, but they extended it a week. We booked in early Dec 13 so we could be sure of getting rooms that we wanted. I now learn that DDP is not offered during Jersey Week (usually). I also found out that that the Military discount I was going to apply can’t be used on exsisting reservations!! This is going to be an expensive lesson in not doing my homework on Disney!! Kimberly I hope you get get a discount, but I wouldn’t count on Free dining! Hi Marla- we figured out if we add an extra day to our stay at the beginning we would be able to get the Free Dining Service. The disney representative said that since your arrival day is the only day that needs to be included in the promotion in order to get the entire week of free dining 🙂 That is great news! Now let’s hope our agent can get us the Free Dining Offer since there are only a limited number allocated for each resort. Hoping this all works! I noticed you said that you can’t use more than one discount option together, does that mean that if you wanted to use the free dining option that the military discount cannot be used with it? So if we were to stay at the Art of Animation Resort (cars suite) would that exclude us from discounts or just the Little Mermaid Room? And by the way…this site is great!! I’m planning my trip Sept 22-29, 2014. Let’s say I’m staying at the AllStar Sports, and I want to include the Dining plan (snack, counter service, table service). Let’s say the offer for free dining is available. I know that staying at a value resort the free dining only applies to quick service. My question is – would I be able to just pay a upgrade fee for getting the regular Dining Plan and how much would that be? Second question: If I already have my package (room, tickets, dining) booked and then the free dining becomes available, how easy is it to get that confirmed package changed? I’m more interested in free dining over room discounts. Yes, you can pay to upgrade from Quick Service to the Regular/Basic Dining Plan. It’s an extra $19/night for adults and $3/night for kids ages 3-9. If you call about Free Dining when it’s first announced, you shouldn’t have any issues getting it switched. The phone lines are busy when the announcement is first made but that’s the hardest part of it. I have been reading tons of stuff on you site for a few weeks now and I have learned SO much!! Im currently planning our first trip to disney, it will be my husband, me, our 5 year old, 3 year old, and a new baby. We are really hoping to get free dinning, we are looking at the dates November 18 to 25. these dates run into the week of thanks giving, will that be a problem??? Also we have contacted a travel agent, and she is advising us not to expect free dinning at all this year, that there have been many promo changes this year and disney has peak attendance so they likely won’t offer it. what do you think of this?? I was able to get a timeshare stay end of aug at Old Key West. I plan to add dining and tickets to the stay. Do discounts apply to timeshare stays? If so Do I need to call someone special to add the discount to my package? Thanks for your expertise? I am a Disney agent….what do I need to do to get on your list for agents you recommend? This has nothing to do with this post, but do you think Disney will something like Limited Time Magic again? Not sure but most of the Limited Time Magic was really lame. Yes, the AoA suites are usually included and receive the Quick Service Dining Plan since AoA is a Value Resort. Last year for the fall free dining discount the suites at AOA were NOT included. What if only 4 of the 7 days of your vacation has either a discount or free dining being offered, do you get the discounts for just those days? Good question. If your trip begins by the last day of Free Dining, you can use Free Dining for your whole trip unless there are blackout dates like Thanksgiving. If your trip begins before Free Dining, you would have to have 2 reservations – 1 before Free Dining and 1 during Free Dining to use it during part of your trip. If Free Dining was offered at the end of November and into the first week of December, how many days after Thanksgiving would the blackout extend? Don’t count on free dining the week after Thanksgiving because of the POP Warner stuff (that starts the first Saturday in Dec). I thought the week after thanksgiving would be free dining but it did not fall into that group. So I had to decide how much value our dining reservations had to me… Enough that I did not change the week, as we had several before park open and barely got at BOG reservation. Thank you Nicole. I am hoping we will run into that same luck! These are so helpful…thank you! Hoping for free dining on our next trip. We did not get it in August….because for whatever reason it was not offered the week we went…even though for many, many years it was offered during that time! One question: What does AP stand for at the end of the room discounts?